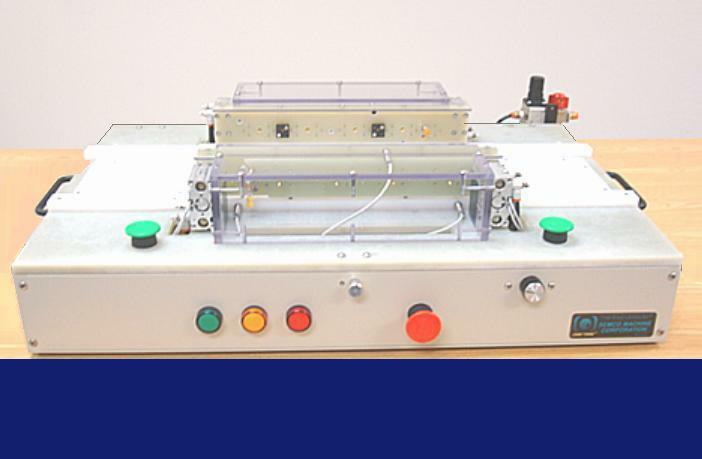 every year, semco provides top-quality custom test fixtures to hundreds of customers. semco machine has extensive experience fabricating wireless fixtures. 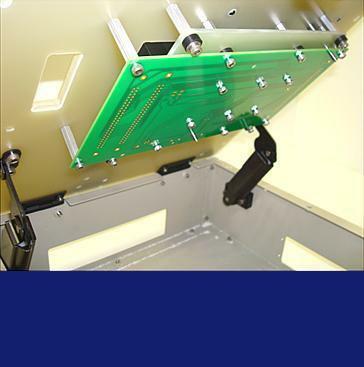 shown is the interface printed circuit board (ipcb) mounted to the underside of the probe plate. 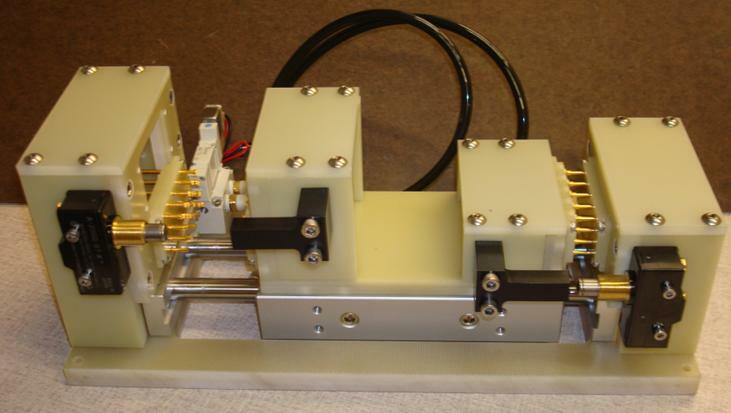 double-ended probes and sockets access both the board under test and the ipcb. this camtrac fixture shows an example of sheet metal modifications that are common with custom fixtures. cooling fans are installed in the side panels along with a power entry module and various cutouts for connects. the grounding straps shown connect all three esd g-10 plates to the sheet metal pan. 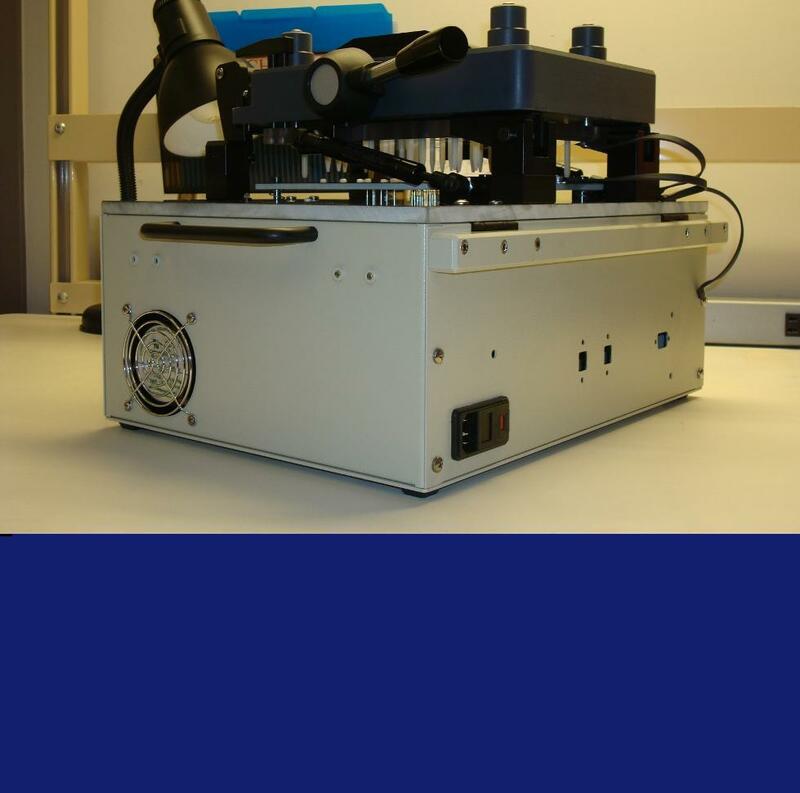 this standalone pneumatic interface allows the customer to engage or disengage certain pins during a test. 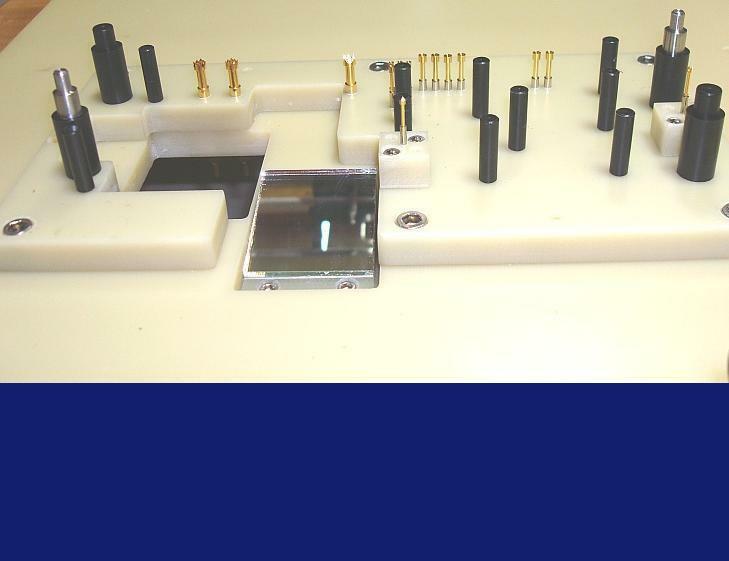 one application allows the customer to switch over to high current probes and conduct a hipot test on the board under test. 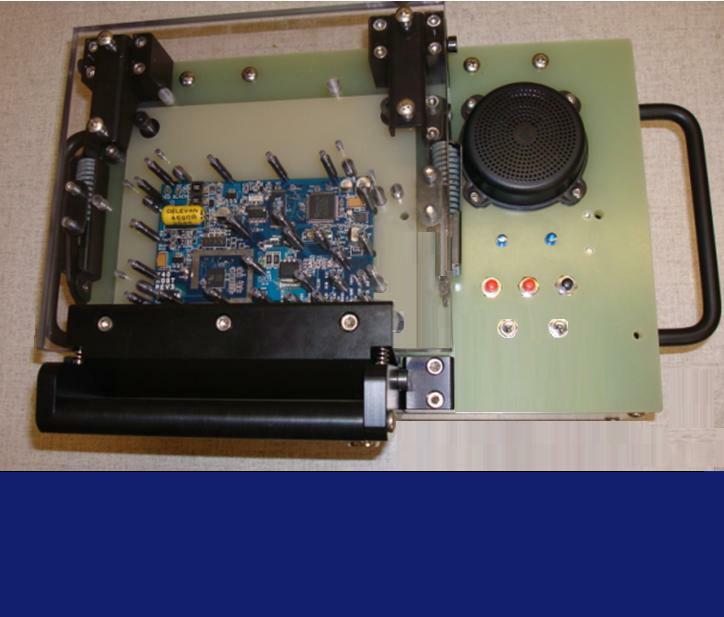 this photo depicts a heavy duty custom side access unit that accessed a printed circuit board that was attached to the assembly under test. 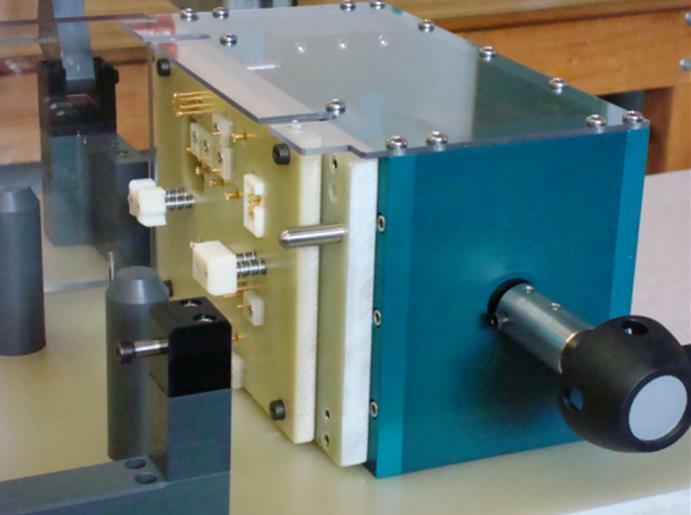 the sau probe block floated and also housed independently floating probe blocks. floating registration blocks helped insure proper alignment. this functional fixture has a custom size mt lexan lid offset on a standard fixture. the right side of the base plate has been modified for installation of switches, leds, and a speaker. 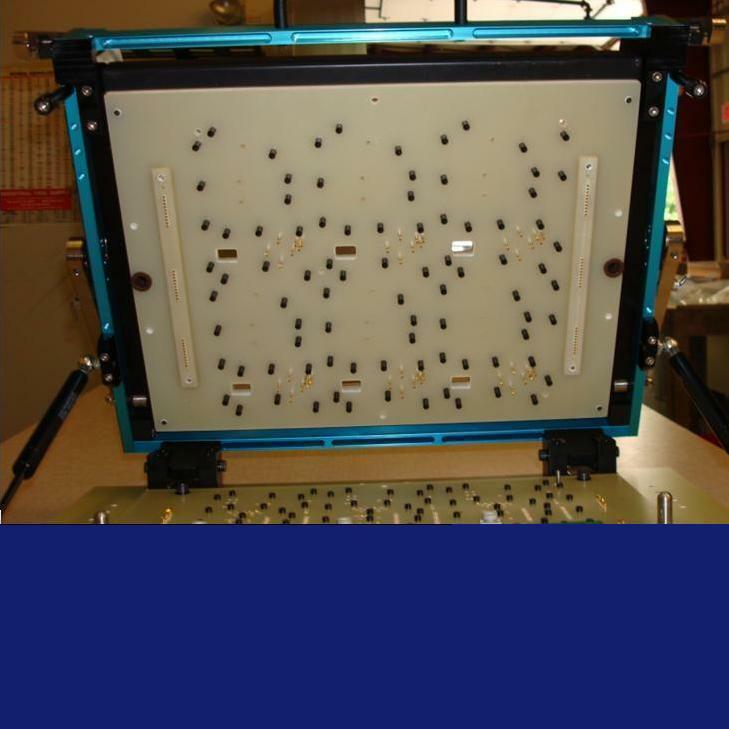 this photo shows a multi-level probe plate allowing probes to access connectors at different heights on the board under test. the mirror allowed the custom to see and access a switch that was located on the bottom side of board. also shown are two spring-loaded tooling pins and two spring-loaded support pads which support the uut up off the probes. this camgate fixture probed both top and bottom of the uut. registration pins mounted in the bottom probe plate insure proper alignment of the topside probe plate to board under test. the transfer blocks on the right and left side of the top probe plate bring the topside wires down into the fixture pan. this pneumatic fixture features two air actuated side access units. the device under test slides in from one direction and is locked into place once sensors detect the device is in test position. safety features include two button start and an emergency stop button.